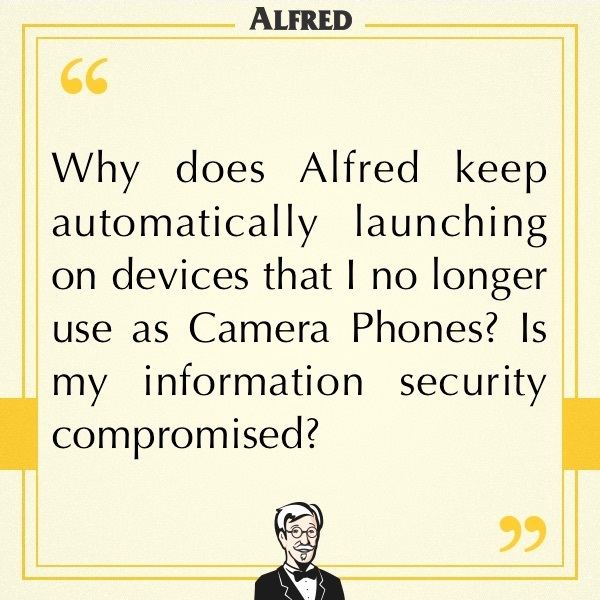 Why does Alfred keep automatically launching on devices I no longer use as Camera Phones? Is my information security compromised? - Frequently Asked - Alfred Center | get the most out of the best home security app! Why does Alfred keep automatically launching on devices I no longer use as Camera Phones? Is my information security compromised? If Alfred has been automatically launching on your devices, we owe you an apology. 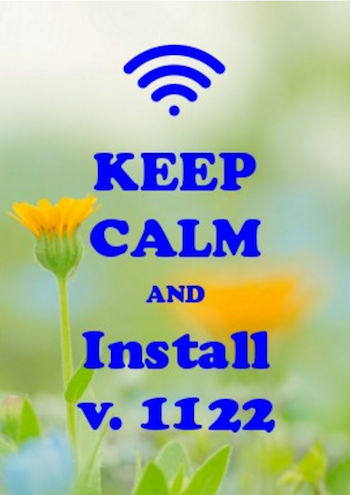 Chances are your devices are running 1114… and 1114 has a bug. If you had previously configured Alfred as Camera and it is no longer being used, your Cameras might launch automatically when you updated Alfred. The reason behind this is we were making an effort to get Alfred restarted on the Camera devices that you actually use after an auto update to keep them online. However, we made a mistake in our code which makes Alfred think it is still running even when you are performing a manual update. In short, there was a problem in the code, but your information is and has always been safe! Remember to update ALL your devices, especially your Camera Phones. Did you know you can do that from your computer? It’s fuss-free!